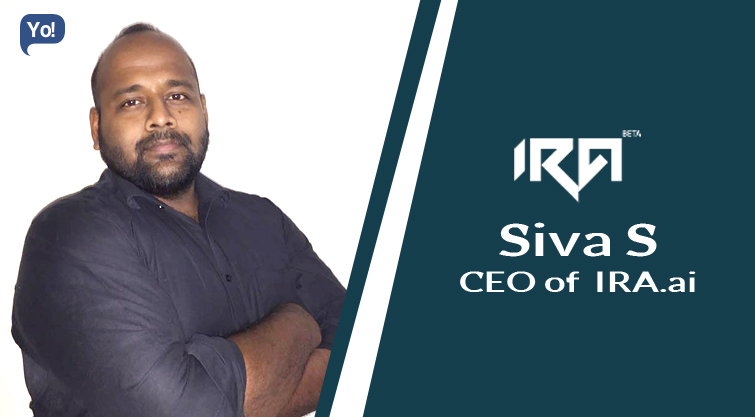 Siva is an innovator and an entrepreneur by passion. He is one of those individuals who took cognizance of cloud computing and launched a startup with an aim of helping a million businesses move to cloud by 2017. He has an expertise in business development, product management and cloud computing. He started his career as a business analyst and gradually climbed the ladder of success. His latest venture IRA.ai is an enterprise class yet disruptive cloud consulting company. They help you implement, migrate and optimize your applications in cloud. IRA Chat – handles real-time chat conversations in Chat Apps, FB Messenger, and Websites etc. IRA Mail – handles complex mail replies and integrates with all popular mail and helpdesk engines. 3. IRA Social – handles real-time social interactions on Facebook, Twitter and other popular social media platforms. IRA Senti – tracks the customer sentiment across various channels like Mail, Facebook, Twitter, YouTube etc. We believe that smart engineering can bring about a massive change in the way we live. Today we are witnessing the impact of technology innovations in daily life, starting with smart phones to Tesla’s electric cars. These stories have one thing in common – build meaningful technology products which improves the quality of human life and that’s our inspiration. There is no alternate to hard work and right intentions. The focused you are, the higher you achieve. Understanding where to start. But we figured out this piece ourselves. AI engines and Bot engines were attracting more adoptions in the west, while we were still grappling to understand their real-life applications. Luckily, we stumbled upon few consulting projects which led to the idea of building our own AI engine which meets enterprise needs. So the start was difficult and fuzzy, but once we crossed the initial few months of product development, we now have a clear sight of success ahead. There were doubts in corner of our hearts if we will be able to pull this off. The thought that high-tech need not necessarily come from US or Japan led us to try our hand at building an enterprise grade Artificial Intelligence platform. As a result, IRA was born. Today we challenge and win massive enterprise deals competing with established players in AI & Chatbot industry. We are completely bootstrapped as we were in R&D mode. Our mainstream Cloud & Big Data consulting business – Powerupcloud, was able to fund the R&D expenses of IRA. Have a clear set of to-do organized every morning. Set aside 15 minutes to do this every morning as this will help you plan the day better. Make Powerupcloud as the #1 Cloud Company in APAC and IRA as the most used Artificial Intelligence engine in the planet. A mechanical engineer or a sports person. Leh Ladakh: This is paradise in earth. The structures you see while driving up from Manali to Leh are very alien to our earth. Cherai Beach, Kerala: Always like this place for shallow & peaceful beaches. Kothagiri: Chillier than Ooty and low on pollution. Always a great place to spend a weekend.